Ben Barnes as Aro. 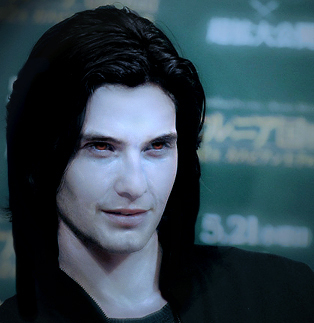 picha manipulation of Ben Barnes as Aro! Found this a while zamani on imdb Twilight boards. Forgot who did this though :S let me know if wewe do! Then I'll credit properly!. Wallpaper and background images in the Mafuatano ya Twilight club tagged: new moon movie ben barnes aro volturi photo manipulation. This Mafuatano ya Twilight fan art might contain picha, headshot, and closeup. I think he should have been chosen to play Aro...aha.